This project is one 24 projects running as part of the Greater Lincolnshire MOVE Programme. Get into Gardening uses gardening to help people who are unemployed or economically inactive learn skills and gain confidence to enable them to go on find training or employment opportunities. The Get into Gardening Group meets every Monday and Wednesday – to find out more contact project leader Ian Birch. 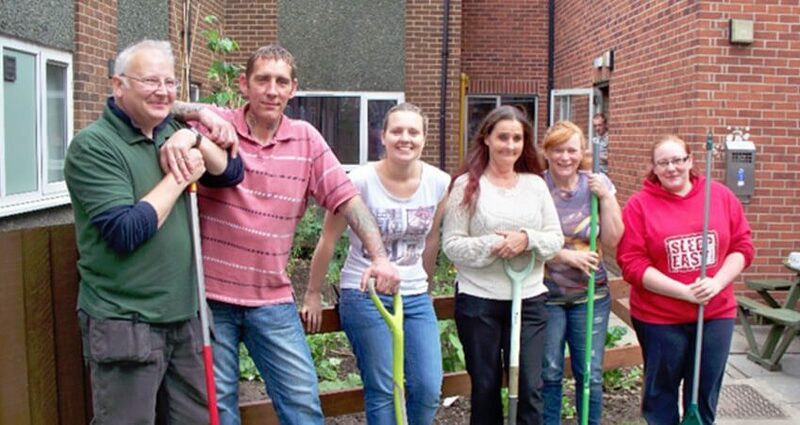 The Global Garden is a community based gardening project within Lincoln’s Sincil Bank neighbourhood. This area of the city is very culturally diverse with over 23 languages being spoken in the local primary schools. A Community Allotment Gardening Group – Tuesdays 10.30am to 1pm and some Saturdays at Plot 1A, Sincil Bank Allotments. 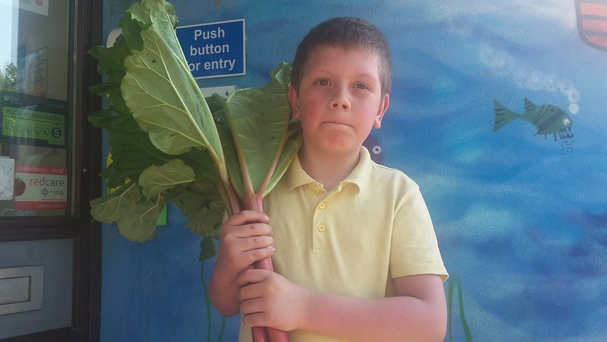 Sincil Bank Community Allotment – A Community led Gardening Group open to residents from the Sincil Bank Area of Lincoln. 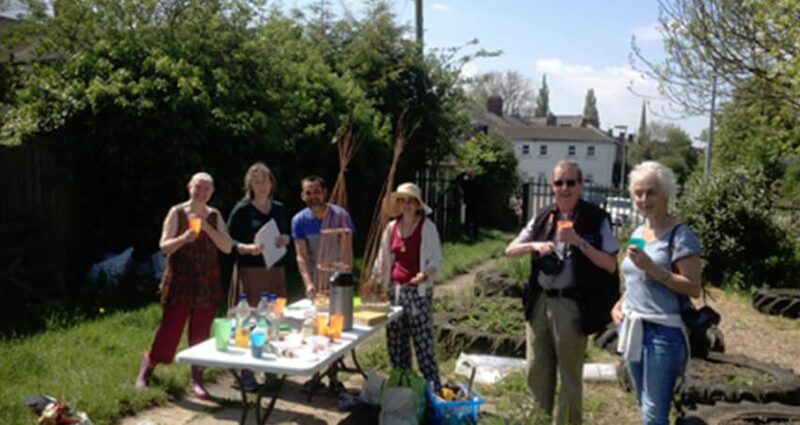 The group meets every Tuesday from 10.30am to 1pm and some Saturdays at Plot 1A, Sincil Bank Allotments. For further information contact Lizzie. ‘Pop Up’ street gardening sessions at various locations around the neighbourhood. Other events and activities include an annual ‘Global Harvest Festival Event’, “sociable Saturday meet up and Eat up” BBQ sessions and recipe swapping. All sessions are free and open to all residents of Sincil Bank. For more information, contact Lizzie. This project was set up with funding from the People’s Health Trust. Children’s activities- anyone for Rhubarb pie? 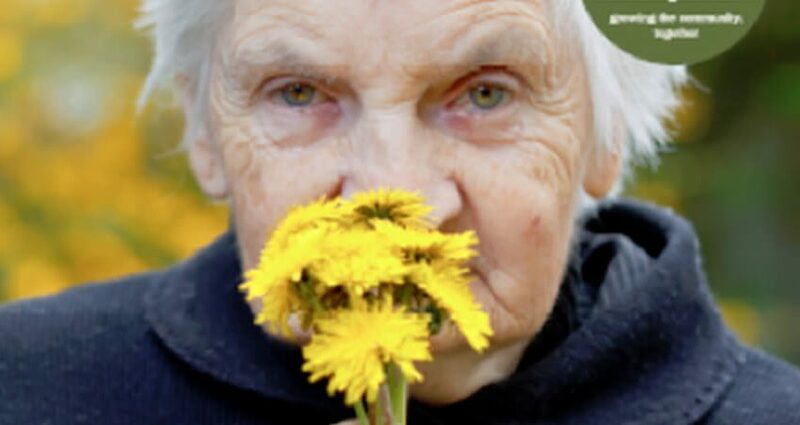 In November 2014 Green Synergy was contracted by Lincolnshire County Council – Directorate of Public Health, to develop and deliver a dementia friendly gardening resource pack and training course for dementia care staff. Two initial courses were held in Horncastle and Lincoln and were attended by 30 employees from dementia care homes around Lincoln. 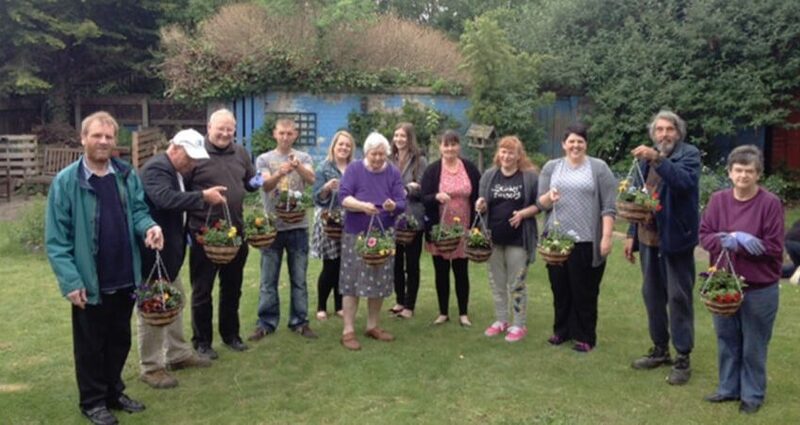 The course and resource pack aimed to enhance people’s knowledge, skills and confidence in dementia friendly gardening so that they could engage their residents in adapted, therapeutic gardening activities and create safe garden spaces at their care homes. During 2014-2015 Green Synergy was contracted to deliver a range of micro projects by the Directorate of Public Health, Lincolnshire County Council, under their ‘Cooking and Growing Programme’. The programme aimed to provide the knowledge and skills people need to make healthy food choices, but most of all to discover how enjoyable eating healthily and growing your own can be. 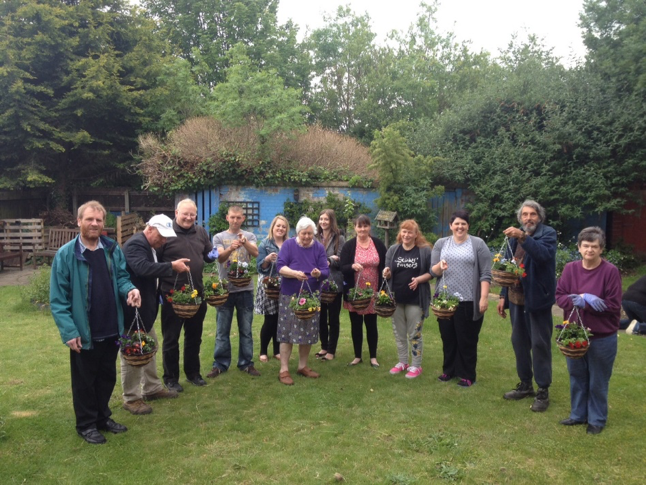 As part of the programme we delivered a range of social and therapeutic gardening sessions to Busy Days, Day Care for adults with special needs; YMCA; Ellie’s community garden group and residents of St Giles and Ermine. The programme also funded the Lincoln Growing Groups Forum- a networking group for local organisations to find out more about community and therapeutic gardening. The workshops were a great success and were attended by an average of 15 people per session, representing a total of 11 different groups and organisations. In January 2015, Green Synergy was awarded a grant from the European Social Fund, co-financed by the Skills Funding Agency and administered by Futures. The grant enabled us to deliver a new initiative in partnership with Developmentplus. The ‘Stepping Stones Garden Project’ which finished June 2015, worked with twenty beneficiaries who were all unemployed and many of whom suffer with mental and physical health conditions, social exclusion, discrimination, learning difficulties and low self-esteem. 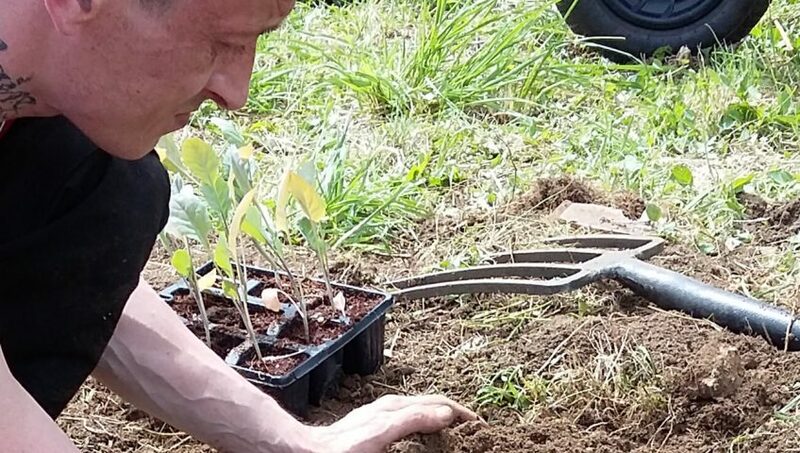 The Project, led by Paul Ievins, and delivered at Developmentplus provided weekly gardening sessions to help break down barriers to work and learning through an informal approach to volunteering and vocational (horticultural) training. By providing a friendly, supportive and accepting environment the project also helped participants gain confidence, make friends and learn transferrable skills for work and life. 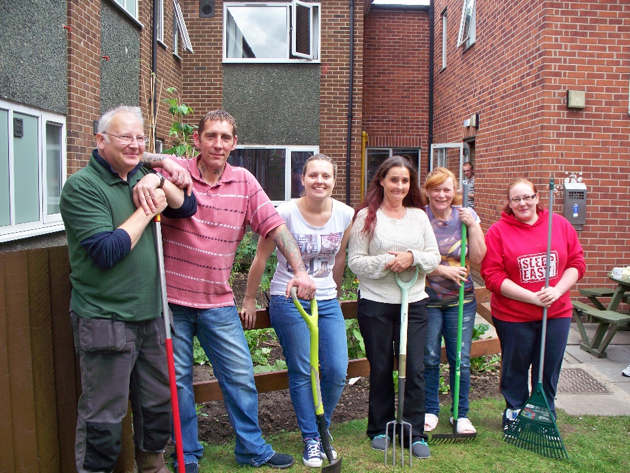 Since Green Synergy was first set up we have been working in partnership with Developmentplus to deliver supported, therapeutic gardening sessions in their garden. Dedicated in loving memory of Ellie Bradford, this pocket-size community garden is nestled between flats and houses on the Tower Housing Estate. 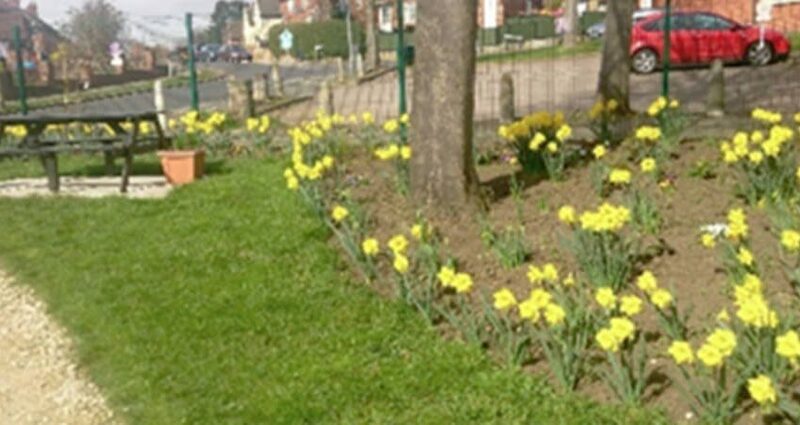 Established in 2013 with funding from Community First and the Cory Environmental Trust and volunteer support from over sixty local residents, this garden is managed in partnership with local residents. For more information or to get involved contact Lizzie. 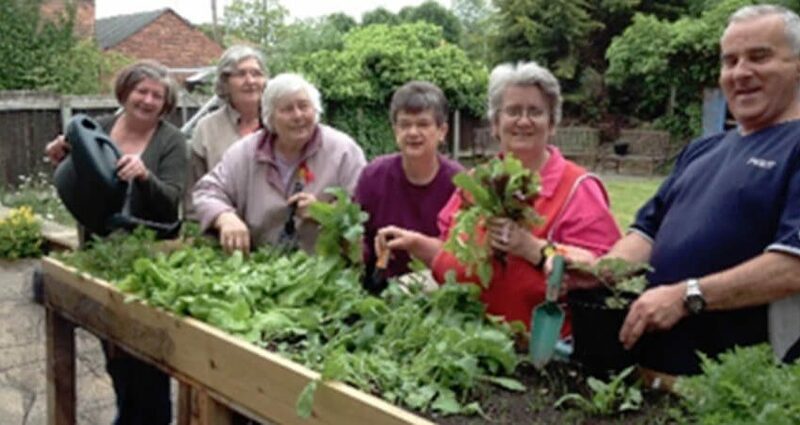 Lincoln Community Growing Forum is an informal network for gardeners and gardening groups. The forum meets during the second week of every month for an informal get together and practical workshop on seasonal growing topics. For further details see the updates on our facebook page or contact Jodie. The Peter Hodgkinson Centre provides acute inpatient care for people suffering from mental health conditions. During 2015 we were asked to manage the design and development of a therapeutic garden in an unused court yard within the Centre. The idea for the garden was put forward by a Governor and former patient of the Centre, who felt that a garden would help to aid people’s recovery by providing an environment conducive to healing and relaxation. Patients and staff were consulted with throughout the design process to ensure that the final design would directly reflect their ideas and meet their needs. 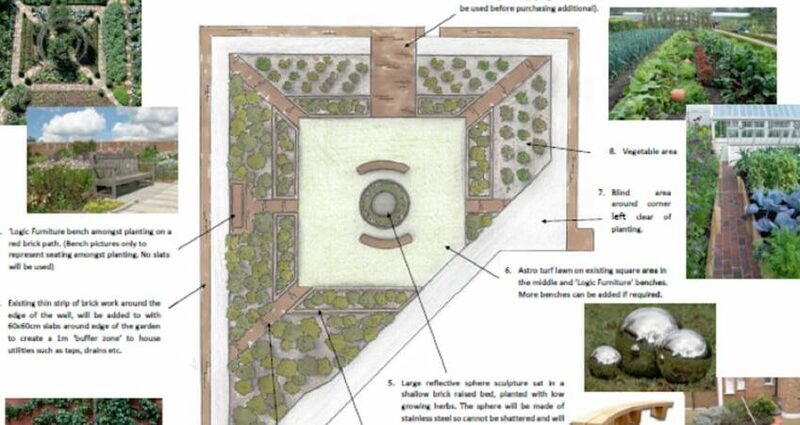 The garden will be built during 2016. 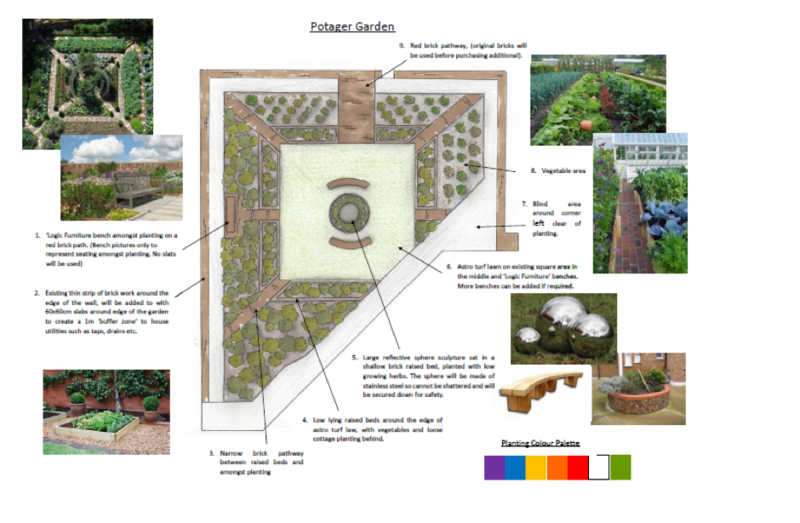 Once completed Green Synergy will continue to work with the Centre to incorporate gardening into patient care plans. By 2021 it is estimated over 14,000 people in Lincolnshire will have dementia. 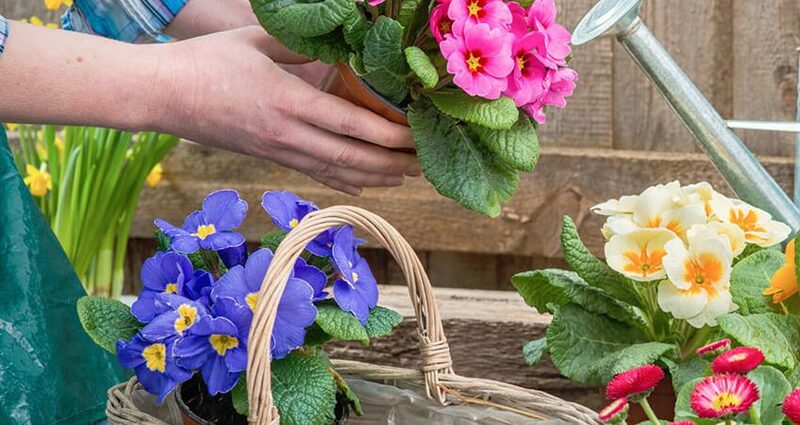 Gardening can help people living with dementia by providing links to old memories and stimulating brain function (including fine motor skills and communication). It can also provide opportunities for relaxation, socialising and keeping fit. 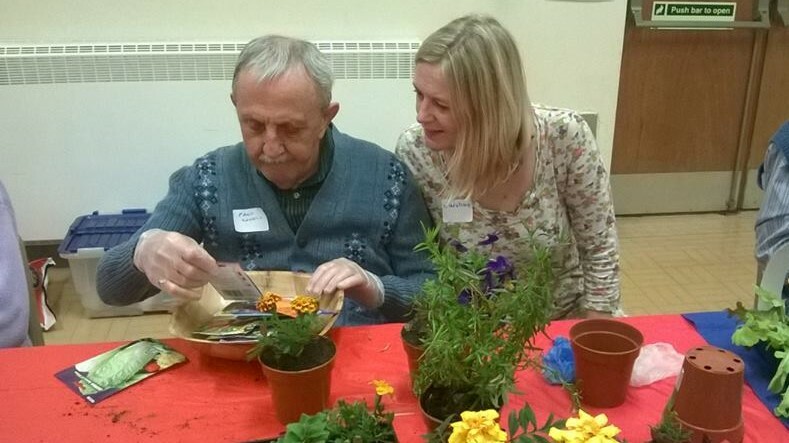 Green Synergy has developed a programme of adapted gardening activities for people living with dementia as well as a training course for carers and group leaders who work with people with dementia. If you would like to book a Gardening for the Brain Session or a training course please contact Jodie. Our new website has officially launched!